MCHIP advisor Mary Rose Dalaka (right) visits Linda Kenneth (center) who survived the birth of her sixth child (shown here) with help from a skilled birth attendant and home health visitor, Yunis (left), and an MCHIP program that helps prevent postpartum hemorrhage, the leading cause of maternal deaths in the world. Juba, South Sudan – The mother of five children, Linda Kenneth had a history of excessive bleeding after birth. When she learned that she was pregnant again, she planned this time to deliver at the local hospital in Lui in case of an emergency or complications. During the final month of her pregnancy, Linda received a visit from a home health promoter trained by the U.S. Agency for International Development’s global Maternal and Child Health Integrated Program (MCHIP). The health promoter helped her draft a birth plan, counseled her on the risk of postpartum hemorrhage and provided her with the misoprostol to take to prevent heavy bleeding if she couldn’t get to the hospital. Linda was grateful for the misoprostol, recalling the significant bleeding that followed her two previous births. On August 29, she went into labor in the middle of the night. The rainy season had left many roads in poor condition and Linda worried about getting transportation at the late hour. 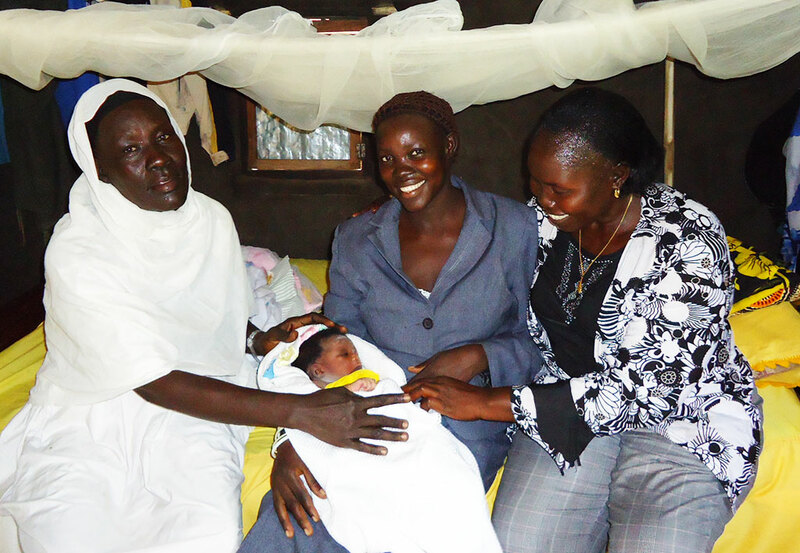 She called a skilled birth attendant who worked at Lui Hospital to help her deliver at home. After Linda gave birth to a healthy baby girl, she swallowed the three misoprostol pills as instructed by the home health promoter. Linda experienced no heavy bleeding, and once her uterus began to contract, delivered the placenta. Linda’s delivery of her baby girl went smoothly and safely. She was the first woman to give birth at home with the help of the innovative program for community distribution of misoprostol in Mundri East, a county in Central Equatoria State in South Sudan. This program is part of a pilot intervention—implemented by MCHIP, Jhpiego and the Mundri Relief and Development Association in collaboration with the Ministry of Health—to help reduce maternal deaths. South Sudan is among the first countries in which MCHIP has rolled out the prevention of postpartum hemorrhage program and community distribution of misoprostol. South Sudan was primed for this intervention because of its high maternal mortality ratio (2,054 per 100,000 live births), high rate of home births and limited access to health care facilities. This reality makes 2012 the right time to introduce this lifesaving intervention into communities in South Sudan. In addition, qualified health workers account for 10% of the civil service workforce (1.5 physicians and 2 nurses/midwives for every 100,000 citizens in an urban area); life expectancy is 42 years of age; 12.3% of births take place in a health facility; and a skilled birth attendant is present at only 14.7% of births. “With a non-functioning health system and limited numbers of skilled birth attendants, we are placing the intervention in the hands of those who are present at all births, the women themselves,” said Khatidja Jivani Naithani, Jhpiego Program Officer in South Sudan. The year-long pilot program is designed to help the Ministry of Health carry out its maternal health objectives by building the capacity of health workers to perform this vital service and expand this innovative, community-based initiative throughout the country. For many women like Linda Kenneth who deliver at home without a skilled birth attendant, their ability to take misoprostol on their own after delivery of the baby will reduce the risk of heavy bleeding and potentially save their lives.